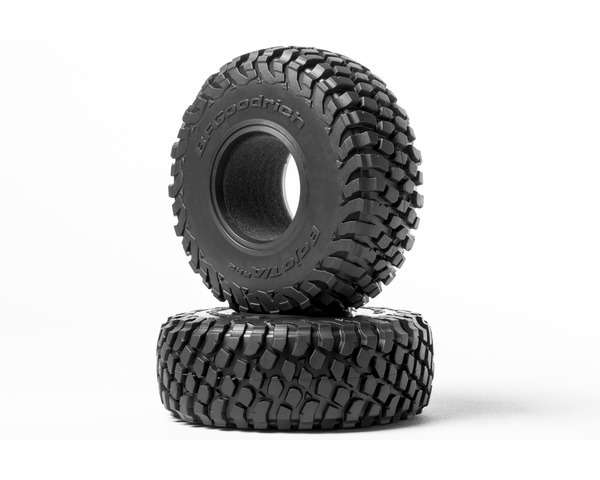 In the full-size world of off-road racing, BFGoodrich tires have proven to be the go-to tire for numerous racing victories, including Randy Slawson piloting them to victory at the 2013 and 2015 King of the Hammers. Axials version of this tire captures the same aggressive look and provides remarkable performance on a wide variety of surfaces. This is the perfect tire for this style of vehicle due to its high level of performance and diversity.